For nearly as long as Niagara Falls has been a global travel destination, Table Rock Centre, or some version of it, has been at the heart of the traveller’s experience. 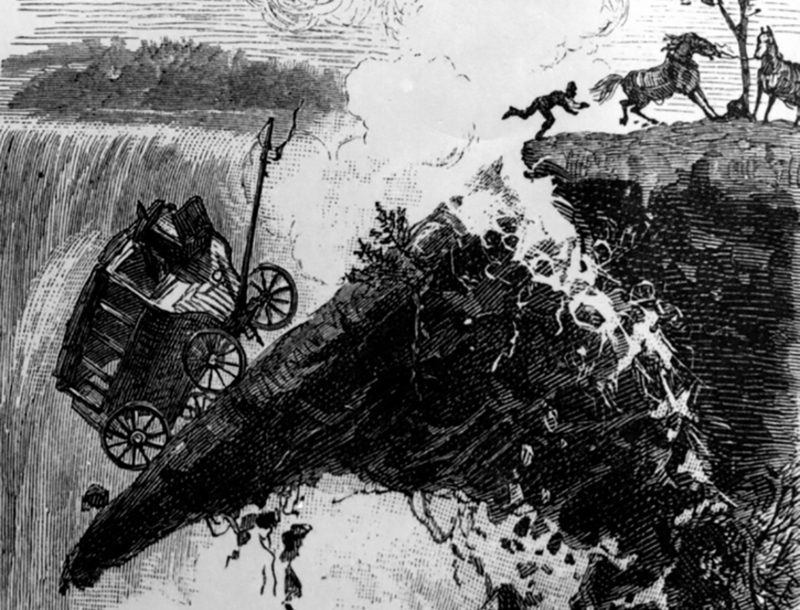 Named for a large, flat slab of rock that jutted from the top of the gorge wall overlooking the falls, the “table rock” partially collapsed in 1818, with continuous deterioration of both notable and significant portions occurring throughout the 1800s – including an 1850 incident in which a man washing his carriage on the rock just managed to escape with his life. 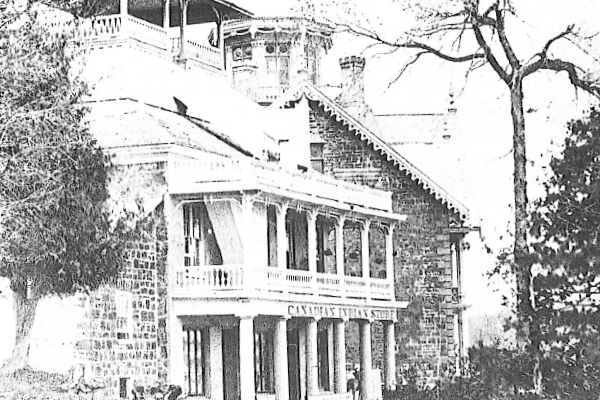 In 1827, local industrialist Thomas Barnett built the first Table Rock Museum approximately 100 metres south of the “table rock” site (with an accompanying staircase for visitors to get to the base of the Horseshoe Falls). Seeing commercial opportunity, a number of other regional business people attempted stake claim in the vicinity of “table rock.” Most notable among these was Saul Davis, of Buffalo, New York, first building the Prospect House in 1844 and then Table Rock House in 1853. 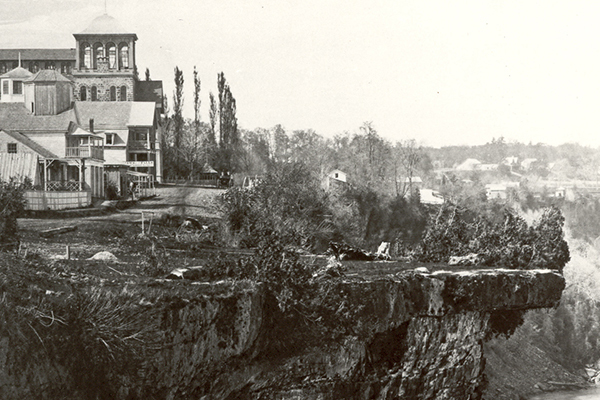 Following the passing of the Queen Victoria Niagara Falls Park Act in 1885, all privately owned properties on the land were purchased by the Ontario government, with the vast majority of structures on them being demolished shortly thereafter, as the first steps to restoring the land to a more natural condition. 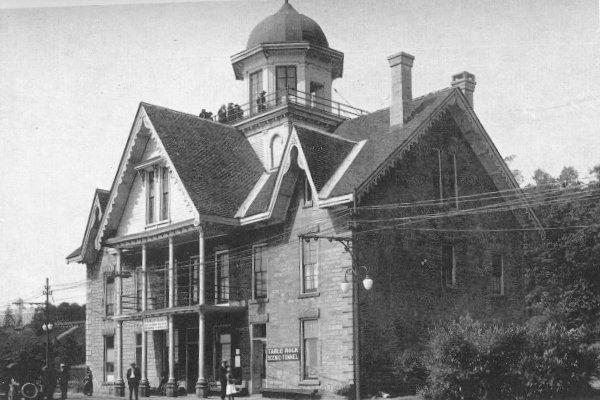 Due to its prime location and relative good condition at the the time, Saul Davis’ Table Rock House was preserved and functioned as the park’s flagship visitor building upon the official opening of the park to the public on May 24th 1888. 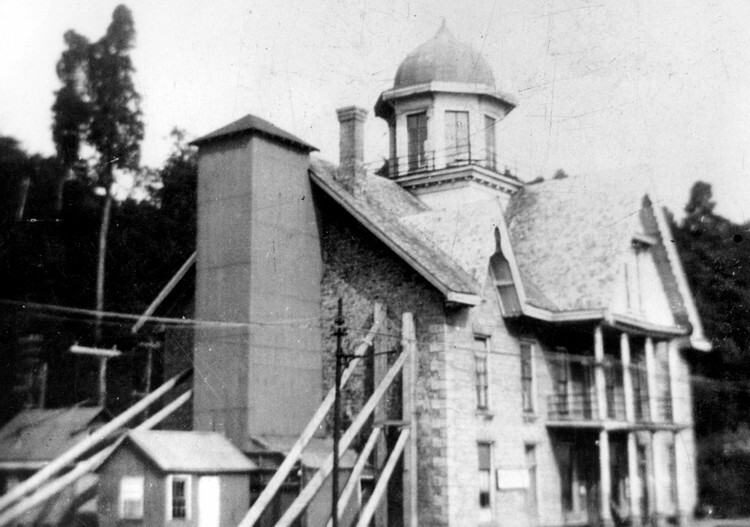 Saul Davis’ Table Rock House went through many renovations over the next three decades, including the addition of an elevator in 1902 paid for by the Ontario Power Company, who in exchange received exclusive use of the existing hydraulic lift system in order to transport their construction workers to the power station in the gorge below. Despite this update, by the early 20th century it was recognized that a new Table Rock House would be needed soon. As the falls continued to recede south, the space surrounding the building had become increasingly limited, preventing expansion of the roadway which was of heavy importance at the time due to the explosion in automobile sales. In 1925 an open competition was held for the design of a new Table Rock House with the achitectural firm of Findlay and Foulis chosen as the winner. Construction on the new facility began later that year south of the existing building and even closer to the Horseshoe Falls. 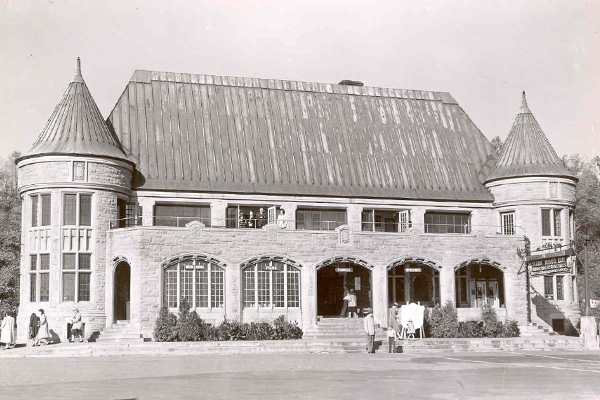 The new building was much grander in scale and included amenities like food service and dressing rooms for the scenic tunnels attraction (now Journey Behind the Falls) in addition to serving as a station for the electric railway. Over the next century, numerous major renovations and additions to the site would take place. Expansion of the facility in 1963 added additional retail space, while another in 1972 saw the road relocated to run along the west side of the building, creating a much larger pedestrian plaza at the brink of the falls. 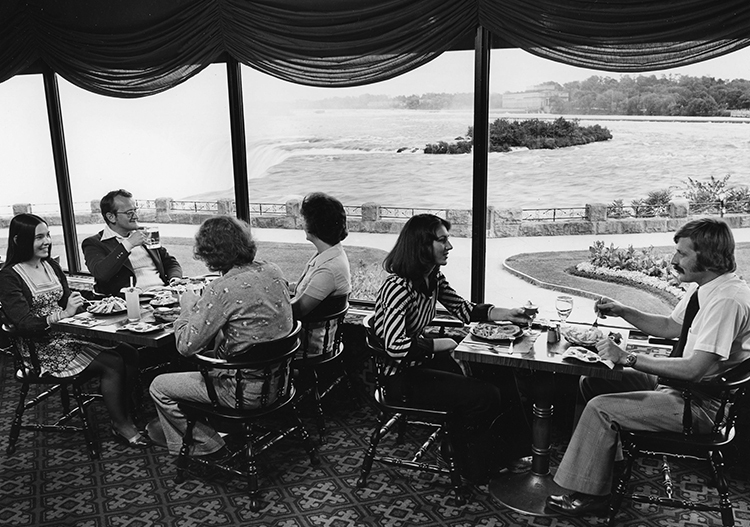 In 1974 the building then known as Table Rock South was constructed featuring a larger dining facility (now the site of Table Rock House Restaurant) offering a panoramic view of the falls via floor to ceiling windows. In 2008, construction was completed on the largest renovation to the site yet. 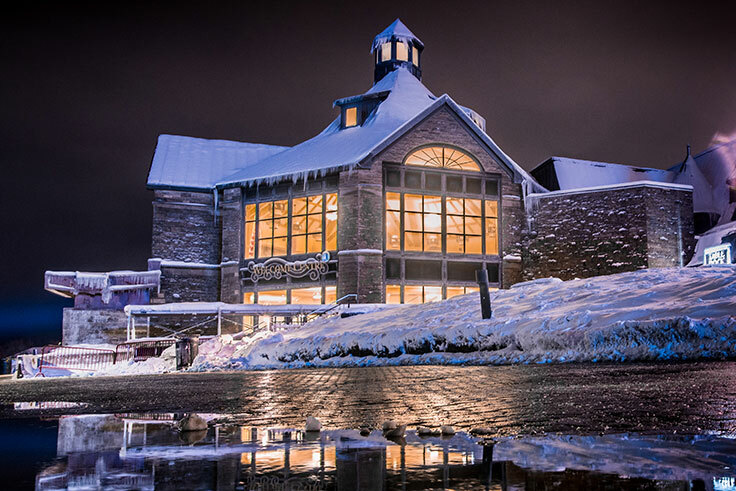 The addition of the Bridge of Flowers and the opening of the Grand Hall indoor observatory not only enhanced opportunities for all season visitation and events, but also provided a subtle architectural nods to the design of the original Table Rock House, while substantially increasing the overall footprint of Table Rock Centre. Currently Table Rock Centre is in phase one of a three-year redevelopment plan that will see extensive renovations to the entire facility. 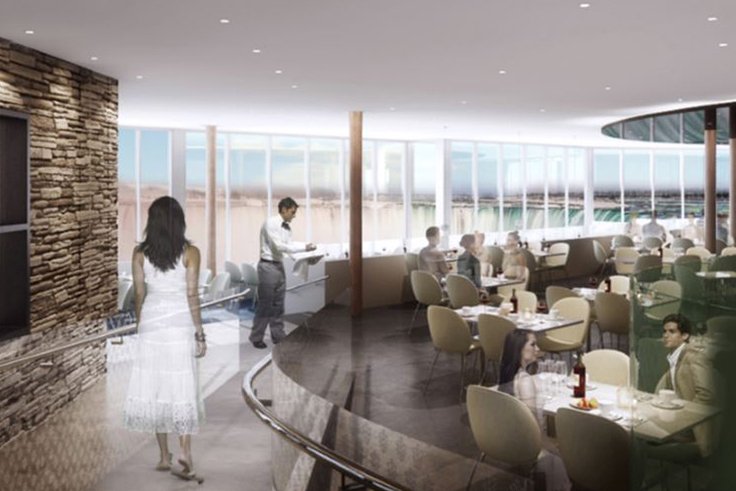 The first phase includes a complete renovation of Table Rock Shop and the lower pedestrian concourse along with the much anticipated return of historic Table Rock House Restaurant, depicted in the rendering shown here. Do the falls actually freeze? Discover how cold winter temperatures transform the falls into a beautiful frozen spectacle.